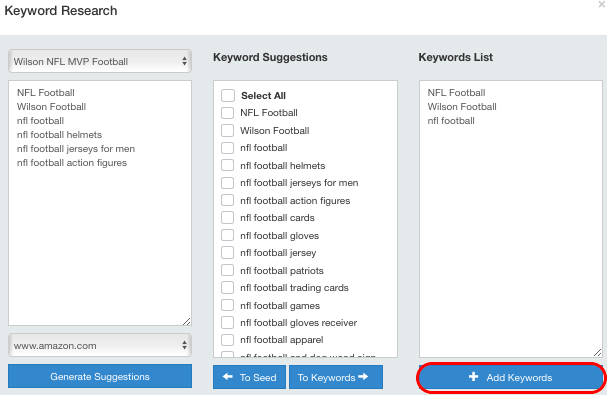 Q: Where do the 'Keyword Suggestions' come from? 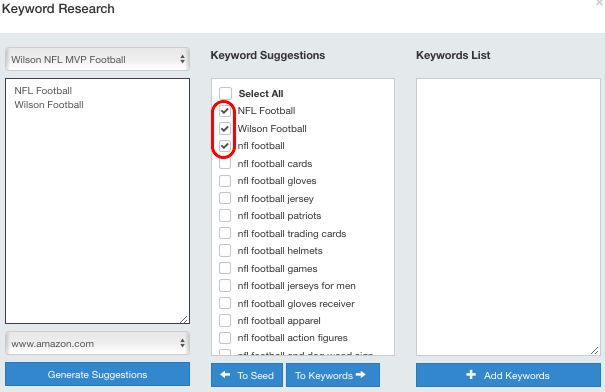 Our Keyword Research tool is powered by Amazon search suggestions. As you type in the Amazon search box suggested phrases start appearing for you. What our tool does is take those seed keywords you've advised us and collated all of the suggested search phrases which Amazon have advised. Here's an example of the 'Search suggestions' for mascara. 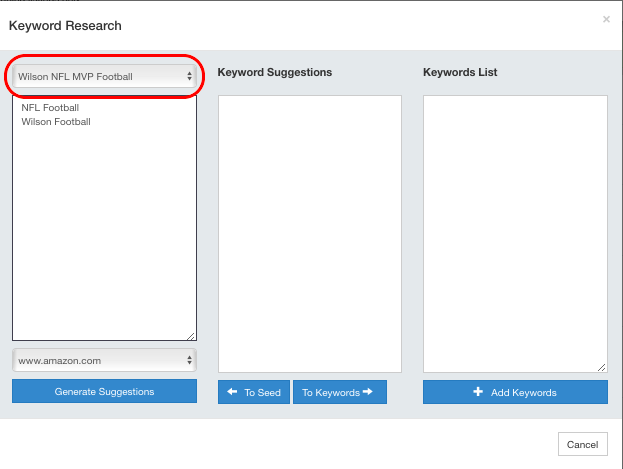 Or, the "Keyword Research" tab that is located in the left sidebar. A pop-up box will appear titled 'Keyword Research'. Select your product using the drop-down menu located at the top. 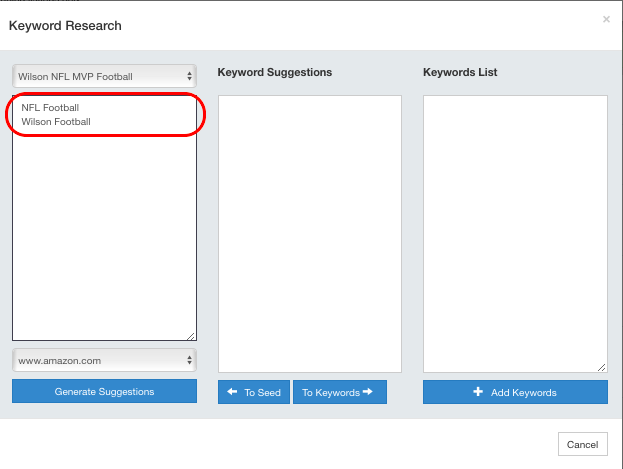 You will see a list of keywords in the 'Seed Keywords' box which you are tracking for this product. Add some to the tracker (See 'How To Add a Keyword'), because this tool won't work unless you have at least one seed keyword added). Now, let's go ahead and click on 'Generate Suggestions'. 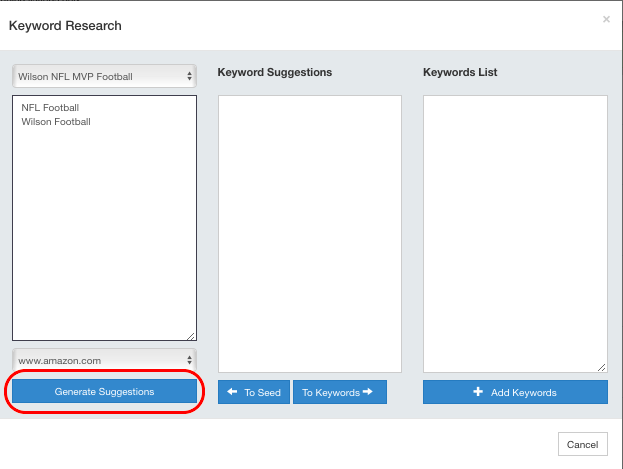 When your Keyword List is complete, click on '+Add Keywords. Now, you will be taken back to the 'Rankings' tab. A note will appear advising the number of keywords added. No. This isn't possible. You will need to select at least one "Seed Keyword" before you will be able to use this tool, since the tool needs "A Seed" to generate other relevant suggestions for you.